In preserving and promoting every aspect of Grenadianism, a good place to start is with our Oil Down. Oil Down is well-known as the undisputed national dish of Grenada, and as such, it is a quintessential part of Grenadianism. Oil Down is well-known as the undisputed national dish of Grenada and, as such, it is a quintessential part of Grenadianism. However, I have always wrestled with the thought, as to whether or not Oil Down is really and truly our only national dish. You see, as we continue to grow as a nation, from time to time we may have to revisit different aspects of nationhood, to take into consideration new developments or even traditions that were ignored. Our national dish, it is my considered view, is one of those areas where a national discussion should be held. The State of Grenada is made up of the islands of Grenada, Carrriacou and Petite Martinique; Grenada being the mainland. It is fair to say, that Oil Down is the dish of the main islanders. Carriacouians and Petite Martiniquans, I am not sure, have the same fondness for breadfruit as Grenadians. Indeed, the arid conditions on these islands ensure that the best environment does not exist for many plants, including the breadfruit tree. Apart from that, however, these islands have their own culinary traditions. 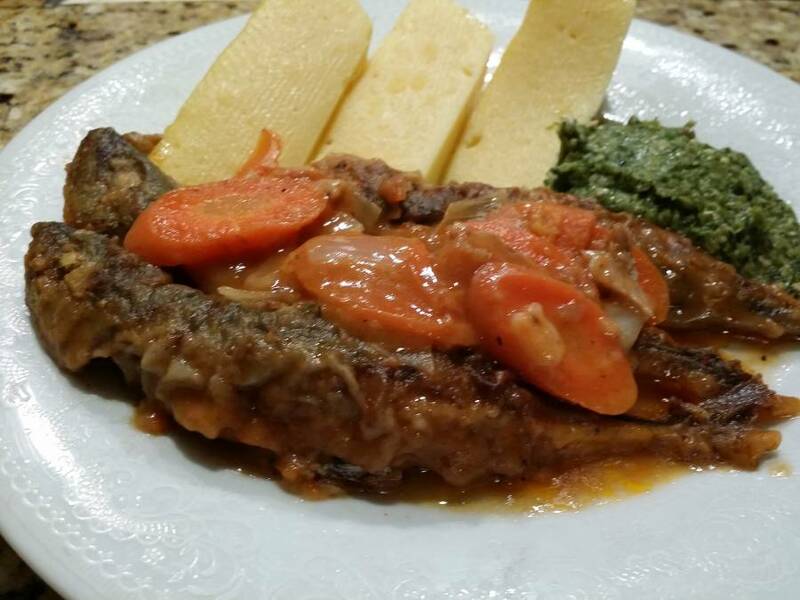 It is in this context that I am of the considered view, that Carriacou’s “Smoke Food’’ and Petite Martinique’s Cou Cou and Callaloo with Fish, should be declared as national dishes. “Smoke Food” can be defined as food cooked in the outdoors on firewood. It essentially involves cou cou, rice, (both the cou cou and rice are served in a roll), stew peas, stew chicken (usually locally grown chicken, popularly referred to as ‘yard fowl’), along with stew pork, stew beef and fish. This is served together as one meal. Smoke Food is very much the soul food of Carriacou. It is a traditional dish that has survived many generations. It is the heart of the Maroon Festival (now the Maroon and String Band Festival); tombstone feast; funerals and other significant cultural activities in Carriacou. Indeed, at any occasion of consequence Smoke Food is never far away. Now, main islanders have to appreciate, that the major trappings of nationhood do not have to be about what main islanders do or do not do. It is very much about what all Grenadians do, in a real sense; and, the Smoke Food culture in Carriacou is not a side dish to Oil Down. It is a major part of our culture that should no longer be ignored. Interestingly, although Carriacou is not famous for agriculture, corn and peas are two crops that grow well on the island. Therefore, it is not coincidental that these two crops are essential components of Smoke Food. Indeed, sometimes the peas are cooked into the cou cou and is then called “Coupra’’. So, here it is, that the people of Carriacou have used the foods that are readily available to them to make a sumptuous dish. And this is how, in most cases, that national dishes are created. So, I am of the studied opinion, that Smoke Food has all the characteristics to be declared as a national dish. As I said, in Petite Martinique, it is Cou Cou and Callaloo with Fish that make up the main dish. It should be noted that the callaloo referred to here is not the ‘dasheen bush’ but rather, ochro. Roast corn pork, or roast lambie with colawash are delicacies, as well as goat head in barley soup, and they are quite popular for a Sunday meal. But, I maintain that the signature dish of Petite Martinique is Cou Cou and Callaloo with Fish. I respectfully submit that we, as a nation, take ownership of this as well. To do so, we will not be copying or stealing from anyone. It simply reflects our diversity as a people and makes our nation more appreciative and inclusive. 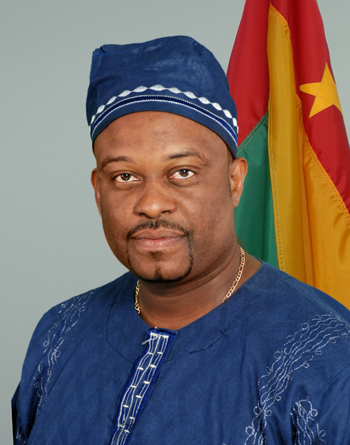 We must never treat Carriacou and Petite Martinique as an outpost. In reality, they represent the cultural heartbeat of the Tri-island State, in the sense that some of the most unique cultural features of our nation can only be found on those islands. Moreover, the traditions of Carriacou and Petite Martinique are well-preserved and practised by the people themselves, without much support from government or any funding agency. I am of the considered view that we cannot build a successful “Pure Grenada’’ brand without a full and in-depth appreciation of the cultures of the Sister Isles; and, as such, Carriacou’s Smoke Food and Petite Martinique’s Cou Cou and Callaloo with Fish, are as pure as it gets.